Spring is a time for fresh starts! As the weather starts getting better this means that we can start focusing on work outside including our gardens, driveways and our house exteriors. There’s nothing better than brightening a dull garden after the cold winter. As the sun slowly starts to reappear, we enjoy spending more time outside. To make our garden a nicer place to relax, I often paint the garden furniture as well as re-spray our BBQ ready for the summer months. Using Rust-Oleum Combicolor I know the colour will be hard wearing and suitable for my furniture. 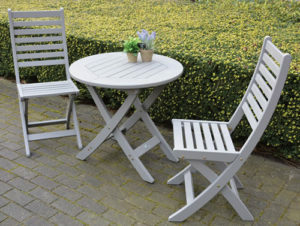 The garden furniture always looks good with a gloss sheen, however Satin is available and can make for a nice change. 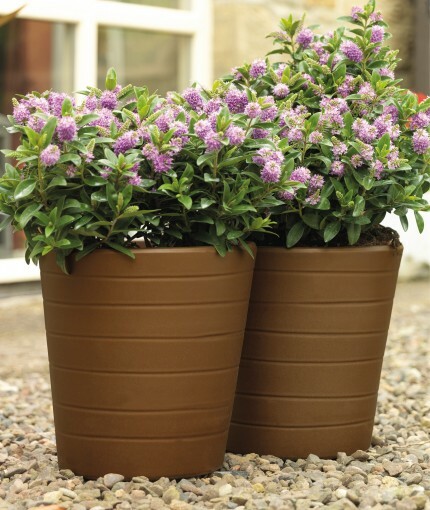 Personally, I also enjoy painting my plant pots in a mixture of colours as this give our garden more life. When it comes to painting pots I make sure I give them an extra coating to ensure that no rust begins seeping through. On some of my plant pots I have used Rust-Oleums Natural effect aerosols. 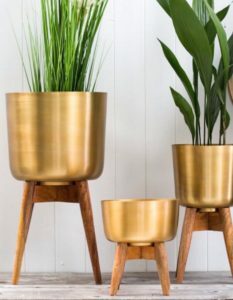 However for the plant pots that are inside my home I like them to have a metallic feel as this looks modern. 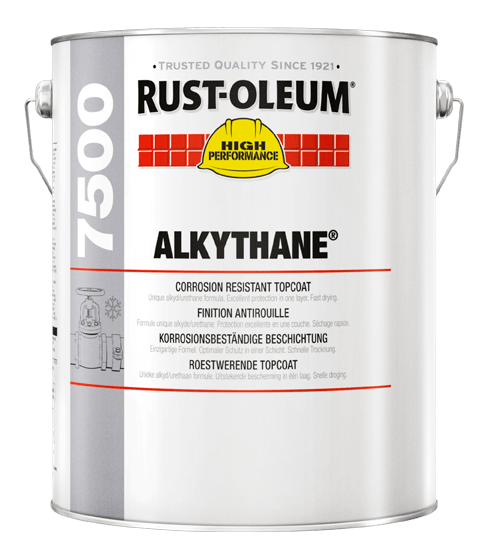 I often use Rust-Oleum Metallic paint to touch up my plant pots. The metallic paint works well on picture frames and also door handles, I think this gives the home a more elegant feel. Although it isn’t suite summer, I like preparing early. This means I like to get out the BBQ ready for those warmer evenings. There are many options for restoring colour and freshness to BBQ’s or even outdoor stoves. In the Fire & BBQ section, there is either brush or aerosol type paints suitable to withstand high temperatures. 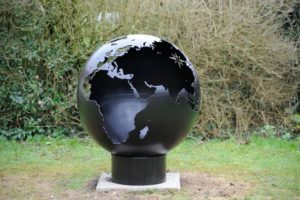 As well as this, we also like the idea of having a fire pit, something that us completely unique to us and is a bold statement in the garden! 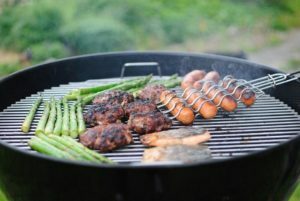 There’s nothing I like more than having family round and cooking on the BBQ during the summer months. Then later in the evening having a few drinks by the fire pit! When I was younger I always wanted to have a Wendy house that I could go and hide in and play with our dog, however my parents said we didn’t have room. Now I have my own children I understand why my parents wouldn’t have one, however my children have been pestering me about having one. We decided to buy a second hand one from Facebook. Once we eventually found one that was reasonably priced and was a decent size for our children to play in, we decided to take the opportunity and surprise our children. We began painting the wooden panels in blue and the window ledges in white, this was a colour chosen by our two boys. 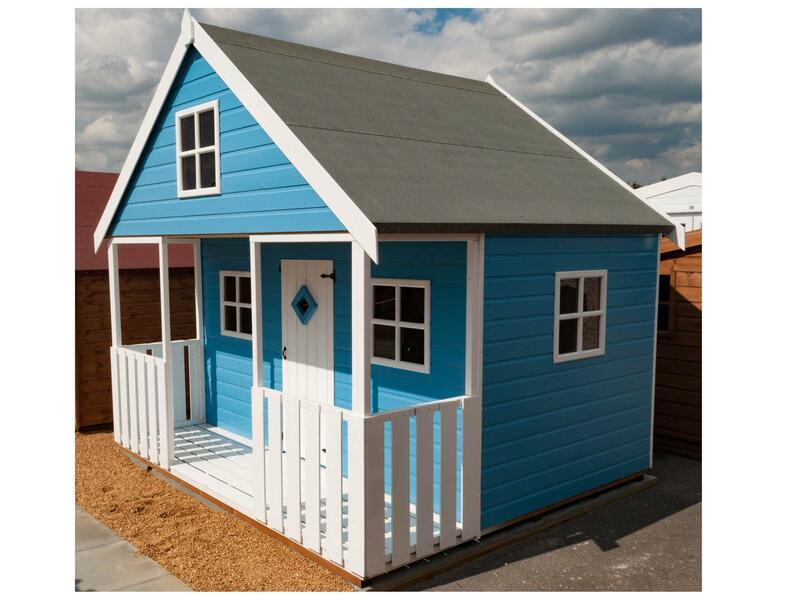 For the children’s Wendy house we painted this in Alkythane because this product is extra durable. This product is very UV resistant meaning the bright colour won’t fade as quickly as other products. The boys love playing in their little house with the dogs, which give us parents some quiet time, which I definitely think is worth it! These are just a few of the things we do in the garden during Spring so that we can enjoy the warmer evenings outside. If you feel you have any suggestions, please feel free to leave a comment and let us know what you do.